Will a niche solution by manufacturers like Apple, using ALL-IP, be made available? Since the beginning of the 1990s, building automation systems in large industrial and office buildings have been an integral part of the construction industry. Intelligent and cost-intensive field bus systems from different manufacturers, provide via various sensors and actuators, a wide range of information, as well as control of numerous parameters such as individual room temperatures, light and control systems. Nevertheless, the tasks of building automation systems go far beyond providing information related to the technical aspects of measurement and steering building equipment. Most users in SME’s and private homes do not benefit from this technology because of the high acquisition costs and the hardly measurable advantages in time and money that such systems give. Many stand-alone solutions have been developed: Individual systems for heating control, air conditioning, lighting, electrical blinds for the windows and beamers installed on the ceiling, are only to mention a few examples. However, each system had to be independently programmed and controlled. For quite some time numerous radio buses have been established besides field bus systems. The advantage of radio buses compared to wired buses are the simple retrofitting capacity and the independence of any electrical line. Light switches for instance can also be subsequently placed anywhere. Moreover, the price of a radio systems is often considerably lower than of conventional bus systems. The disadvantage of such systems was that they were only partially or not at all compatible. A presumed susceptibility to faults has been avoided by choosing a certain frequency. Gateways connect the radio buses to the field bus system and even more importantly to the LAN. Until recently all manufacturers tried to defend their systems. Meanwhile, several manufacturers have formed a strategic alliance in order to enable a better interoperability. Currently, manufacturers like Deutsche Telekom, Gigaset, Philips and now also Apple have positioned themselves in the market. HomeKit is the new iOS interface by Apple for a networked home or office as a comprehensive system. Developers can use libraries for instance in order to integrate the voice recognition Siri for their applications without having to write a single line of code. For app developers and automation products HomeKit is the most important interface but end users cannot yet apply it. A central place for users to control their HomeKit products will be launched by Apple in the future. If everything works out the way Apple announces, we will only need one single app and Siri in order to control our lights, doors, heating and sockets. Not like at present, where we need to virtually have individual apps for every lamp. “Set the thermostat in the first floor to 21°C. It has been presumed for a long time that a future version of the Apple TV box could take a decisive role as the control center for home automation. Nevertheless, if the platform was only controlled by a mobile device it would not be “smart” anymore when the owner leaves the house with his device. The secure coupling of a smart terminal device via VPN to the home LAN fills this gap. Not only all devices at home or in the company can be controlled from all over the world, but also all services of the home telecommunication center can be used. When the cleaning lady rings the bell you can see her and remotely open the door. Teldat is aware of this challenge. 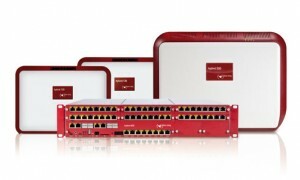 We support our customers within the scope of our router portfolio, with all ALL-IP products including VPN and VoVPN solutions as well as secure voice connections via SIPS and SRTP in the area of media gateways and PBXs. Together with other manufacturers, telecommunication companies and suppliers we develop these solutions and always implement the latest version in order to offer our customers the highest performance with the best possible security. The concept of bring your own device BYOD is a growing trend for business IT. 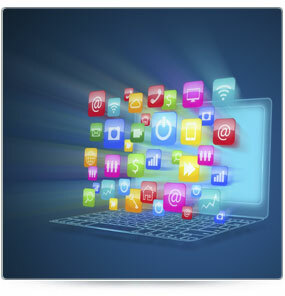 There are a variety of benefits allowing users to supply their own PC and mobile devices. Employees can easily check e-mails, manage appointments via social networks and search the web. Many companies offer their own apps to allow access to corporate data, enterprise applications and enterprise infrastructure. At the same time the All IP technology trend with its increasing convergence of voice and data allows VoIP Service Providers to support telephony with standard LAN devices as long as it supports the Session Initiation Protocol (SIP). In this case BYOD, or bring your own device, is a service that providers offer, allowing users to configure any SIP based device. There are also free mobile apps and with costs for iOS and Android that enable calls via Wi-Fi and 3G/4G using your VoIP provider. So what could be more obvious than using a smart phone also as a mobile phone over the wireless LAN in the office. This way some business apps offer convenient telephony with a variety of service functions such as hold, toggling, call transfer and conference calls. Wi-Fi suitable infrastructures allow a high quality of telephony with seamless handover, over the entire wireless LAN. As a further benefit many users have realized that it is possible to have incoming and outgoing business calls at any location within a building offering a good and stable Internet connection. Many, especially larger companies, have noticed security issues caused by BYOD. However, up to a certain point, they have found a solution thanks to security strategies, using so-called mobile device management (MDM), as well as using a comprehensive data-protection. SMEs are less experienced in dealing with private IT. Many of the small and medium-sized enterprises don’t know yet how to handle this issue. The use of VoIP causes particularly in the business sector further serious security problems by opening up the local network for all computers on the Internet. The result is that firewalls for SIP calls have to be opened and thus the use of Internet providers throws the door wide open to attacks from the Internet. This is where the experience of Teldat will come into complete effect. The solutions which Teldat offer the SME segment contain not only the infrastructure to integrate BYOD devices but allow also a secure integration of telephony. The hybird systems act as local SIP proxies. Hence, SIP apps can connect locally to the hybird systems without any risk. The hybird systems act as a session border controller and connect to the VoIP provider. 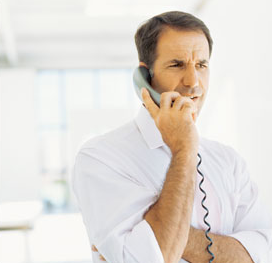 BYOD devices can make phone calls using their SIP provider without being accessible for the provider or from the Internet . If you use for example a smart phone outside the company, the key issue for mobile freedom is VoVPN, Voice over Virtual Private Network. The BYOD device establishes via an online Internet connection a secure connection to the office. In our example, the smart phone with VPN and all safety standards carries out all functions as if it were registered on the wireless LAN of the office. Furthermore, the telephone app acts as a normal extension. Outgoing calls display the central phone number of the office.